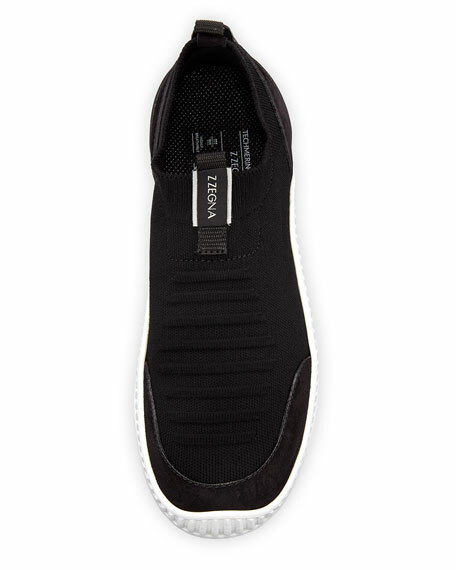 Ermenegildo Zegna wave-sole slip-on sneakers in lightweight, breathable TECHMERINO knit. 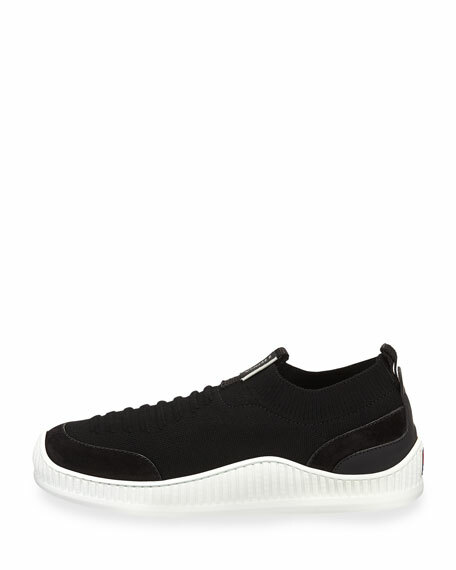 Raised lacing effect on front. For in-store inquiries, use sku #2623552.